I got a deal I couldn't have imagined getting on my own! 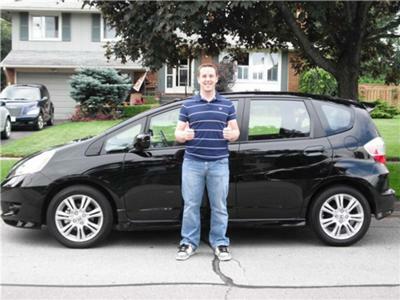 I paid $100 under invoice for my 2009 Honda Fit Sport! and the guys here at Honda Cars Insider Advice got me there. I filled out the form to get information on the best dealers in my area, and I received a reply that day with a ton of information. As soon as I finalized what I wanted exactly I was contacted back within a few days (over a weekend even!). I got a full quote with all the price breakdowns, and then I was put in contact with a salesman at a Hamilton-area dealership. I went to the dealership the next day and found out right away that everything about the quote I received here was 100% true - They had stock of the the exact make model and color I wanted, the price was right on with the quote, and the rest was history! I can't recommend this site and the guys behind it enough; they are the reason I'm happily behind the wheel of my new Honda and not still searching all over the place to get a fair deal! Join in and write your own page! It's easy to do. How? Simply click here to return to Your Honda Buying Experiences With Dealer Invoice Prices.